Did you know bad breath is often the first sign of oral hygiene problems? It is estimated that 80% of all dogs and cats over three years of age have dental disease. After each meal, plaque (an adhesive layer of bacteria) forms on your pet’s teeth. Gradually plaque hardens to form calculus, which is typically brown or yellowish in colour. Calculus provides an ideal surface for further bacterial growth, leading to inflammation of the gums. This is called gingivitis. Gingivitis is REVERSIBLE with professional descaling, polishing and subsequent home care. If left untreated, the gums become detached from the tooth, forming ‘pockets’ which predispose to further plaque build up. This represents the first stage of periodontitis. Early stage periodontitis is also REVERSIBLE with professional descaling, polishing and subsequent home care. In the absence of appropriate care, the progression of periodontitis causes the gums to start receding and the supportive tissues of the teeth are destroyed. This may result in root exposure,abscess formation and teeth becoming loose or falling out. Advanced stages of periodontitis are IRREVERSIBLE and may require tooth extraction. In addition to the effects within the mouth, it has also been shown that bacteria within the oral cavity may enter the bloodstream via the inflamed gums and damage other organs of the body, such as the heart, liver and kidneys. Regularly check for signs of dental problems. For example monitor your pet’s breath and look for signs of calculus and/or reddening of the gums. If you notice any of these signs then consult your veterinary surgeon. Remember that prevention is better than cure. It is recommend that you start a daily oral hygiene programme for your pet, the earlier the better! Veterinary dental products such as LOGIC® have been specially designed to help you achieve good oral hygiene for your pet. 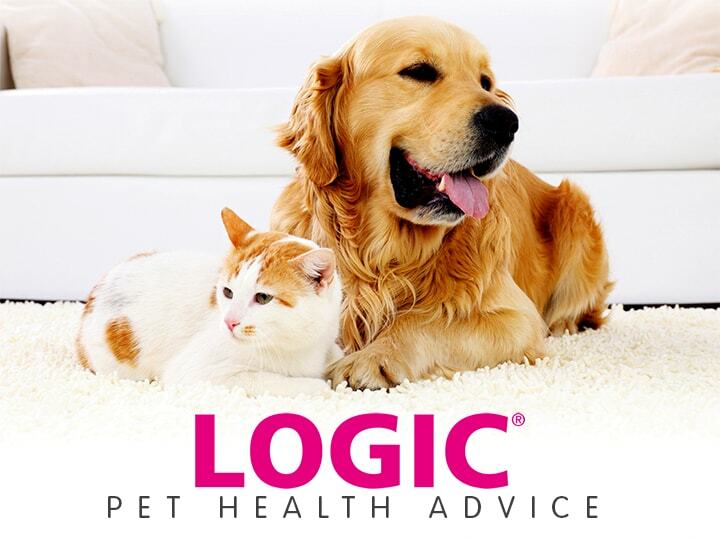 LOGIC® products contain an enzyme complex which supplements your pet’s own natural salivary system. This enzyme complex helps attack bacteria in the mouth and control plaque. Logic® Oral Hygiene Gel and Logic® Orozyme Dental Chews complement each other perfectly to look after your pet’s dental health. This is a highly palatable gel formulation containing a complex of naturally occurring enzymes which help to control the bacteria responsible for the development of plaque and bad breath. It has a pleasant malt taste and is very well tolerated by both cats and dogs.